Today I wanted to share two reviews for two completely unrelated things… the 1960’s show I Spy (season 1) and the new Man of Steel movie. I received Season One of I Spy one birthday or Christmas in conjunction with some Cosby Show DVDs I asked for. After my husband and I finally got through all The Cosby Show DVDs, we decided to try this out. 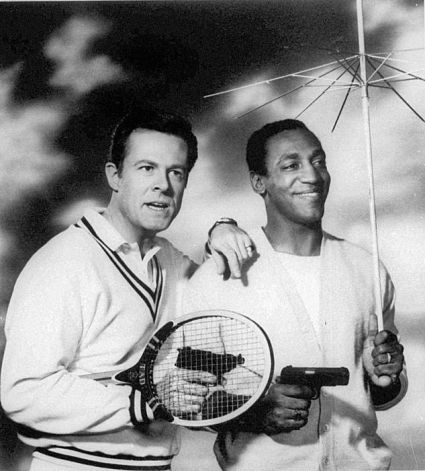 It’s an action show from the 60’s starring Bill Cosby and Robert Culp, who star as American agents Alexander “Scotty” Scott and Kelly Robinson, respectively. Kelly’s cover is a “tennis bum,” essentially a semi-professional tennis player who plays tournaments and gets to hang out with rich people, and Scotty’s cover is his trainer. Kelly is more of a James Bond type, who enjoys a good drink and seems to find a new girl to kiss in every episode, and Scotty is more straight-laced: he doesn’t drink, he rarely gets a girl, and he’s always writing letters to his mom back home. But it got better as the season progressed. I think the biggest shift occurred when the show was moved from Asia to Mexico (more about the locations later), as the stories became more interesting and the two main characters (especially Scotty) developed more. I think the comrade between the two developed as well, and I especially loved how their relationship plays out in the last few minutes of the season finale. One thing that I really liked about the show from the start is that every episode is shot on location in a foreign country (except in season 3 apparently there are episodes set in California), and some of the B-roll shots they include I found beautiful and groundbreaking for the time. This season included episodes set in Hong Kong, Japan, one in Vietnam, and Mexico. One other great thing about the show is that there is literally no mention of race relations in it. Here it is, the 1960’s, with a black and a white man working equally as partners, and no one says a words, because there’s no reason to. After we finished the season, I found I was sad we didn’t have the next two seasons to continue the series, but we plan to get them before too long. 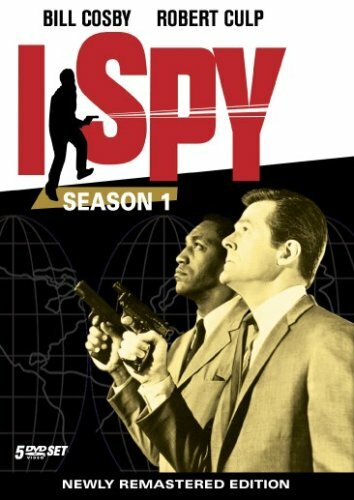 I’d give I Spy Season One three out of five stars. Superman does not interest me much, based largely on my experience with the mediocre Superman Returns movie in 2006. But I had to see this movie, as it was produced by Christopher Nolan. And thankfully, the more story that was revealed in the trailers, the more interested I actually became in it. And I have to say, I was pretty surprised by how much I did like it. I think the number one thing that sold this Superman story for me was the flashbacks to his growing up years. This truly showed Clark’s humanity. You saw him struggling with his abilities growing up, his parents doing their best to guide him. It is after an incident where Clark is able to save a bus full of kids by pushing it out of the water when his father reveals to him where he came from. As much as I got out of seeing the struggles Clark faced growing up, I loved seeing how that shaped him as a person, and I also really enjoyed the dynamic between his Earth parents and him. Diane Lane and Kevin Costner did such a fabulous job as Martha and Jonathan Kent, as well as the scriptwriters, in terms of what they did for Clark’s parents. They are loving and supportive in every scene, though their family is not always perfect. 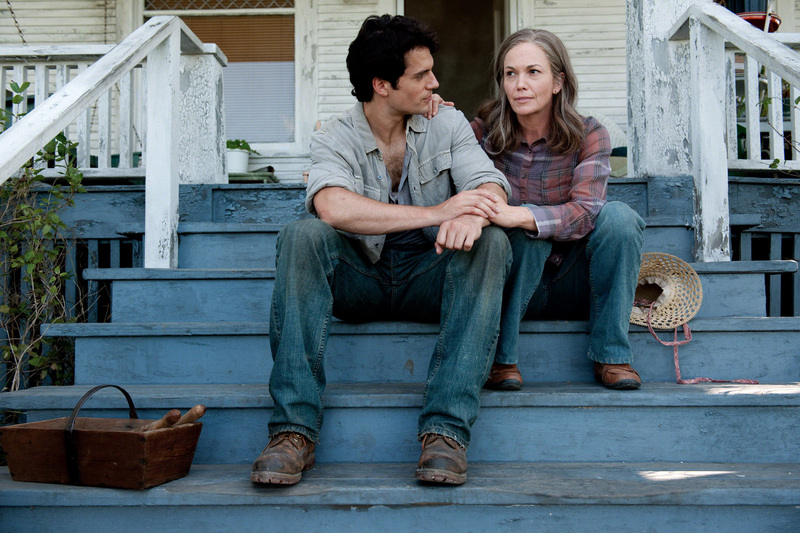 Jonathan Kent was portrayed as wise and discerning when it came to how Clark should use or not use his abilities, and Martha Kent was always supportive and strong. I strive to be a parent like that one day. Hands down, these little snippets of their lives as a family were my favorite. His Krypton parents, played by Russell Crowe as Jor-El and Ayelet Zurer as Lara (not a very alien name but whateves…) were also loving and strong parents, choosing to send their son Kal-El to Earth that he may do good there, as their planet is dying without hope. We get to see a representation of Jor-El’s consciousness throughout the film and I really liked him. My husband said he feels this is probably his favorite role he has seen Russell Crowe in. I liked other aspects of the story as well. Amy Adams did well as Lois Lane, and Henry Cavill was a perfect fit for this Superman role. Instead of being a boring, vanilla “good guy” like Brandon Routh’s Superman in 2006 (which I blame more on the writing than on his performance), he was an interesting and complex “good guy.” The idea of the villain, General Zod from Krypton, was also fascinating. But there were some problems with the movie. First off, Clark seems awfully trusting. He has been spending his young adult life roaming, trying to blend in, and one day he finds a Krypton craft, meets Jor-El who tells him he is his father and explains where he came from. I suppose I might believe him too, all things considered, but then it literally takes Clark five seconds to decide to put on the suit Jor-El is giving him and use it to fly around and save people. After he’s been trying to hide his powers. Hmmm… OK. It just felt really rushed. It also takes him very little time to trust Lois Lane, a nosey reporter, who could have easily done things differently than she did. But luckily for Clark, she decided to keep her story about him more secret than originally intended. And the fighting in this movie came down to practically invincible people throwing each other into dozens and dozens of buildings, over and over again. I cringed at the amount of destruction. I mean, yes, it’s obviously going to be a messy affair, but it got to a point of ridiculousness. All I could think of were how many people were dying thanks to all the crashing buildings. Couldn’t Clark try to find a way to move the fight to corn field or outer space? I did like the ending pretty well, with Clark going to work at The Daily Planet (which was destroyed I’m pretty sure, so somehow they found an identical new office building…). But there was that whole thing of him putting on the glasses and suddenly people who got a good look at him earlier don’t recognize him, except Lois of course and hopefully the boss Perry White (played by Laurence Fishborne), which I thought was a little silly. But the idea was a nice way to cap off the introductory story. Despite its flaws, that was something to remember while watching the film, that it was an introduction to a character: the way his world works, and the people in it. And honestly, as an introduction super hero movie, this might be among the best, with such a strong characterization of Clark coming to know himself as Kal-El and then transforming to Superman. It seems that these introductory superhero stories are getting stronger and stronger since Christopher Nolan released Batman Begins. How this franchise will continue, if it continues, remains to be seen, but it was certainly a strong back story and beginning to a character I honestly did not know much about. The emotions of this film and the feeling of hope certainly ring true. I got misty-eyed a few times in the movie, I came to love Clark’s character and his parents, and I cared about the world he lived in. I wanted to see it all end well. That connection is what Superman Returns lacked. But this Superman feels real, as does his family and his story. 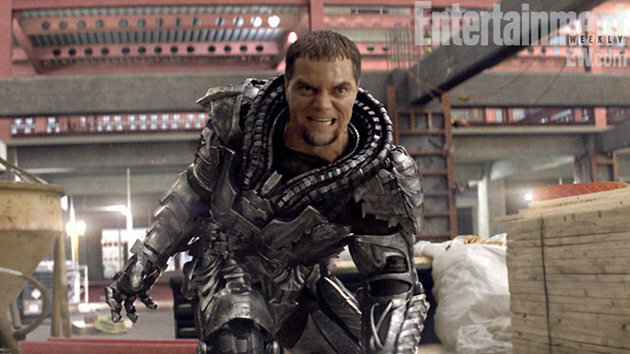 With that in mind, I give Man of Steel four out of five stars. If you’ve seen I Spy or Man Of Steel, let me know your thoughts! 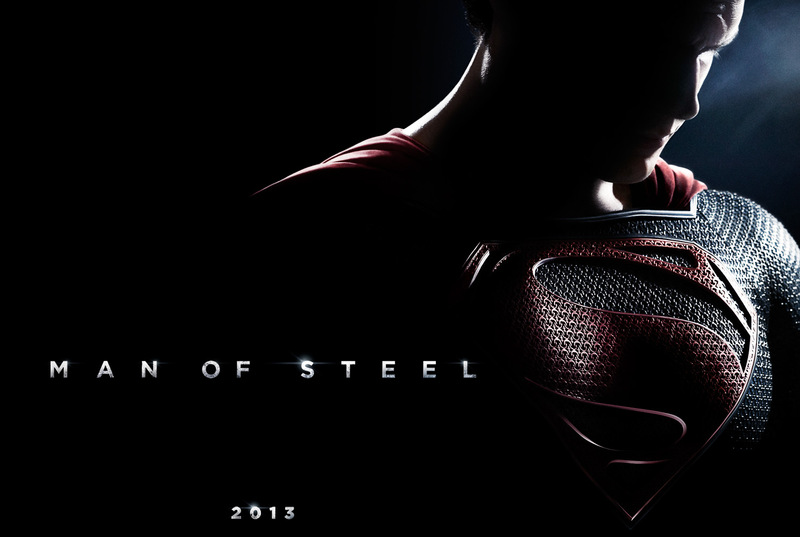 I can’t wait to see Man of Steel. I absolutely love superhero films and have always found Superman so fascinating (2006 movie aside–for which I think both Brandon Routh and the writing are to blame). I’m happy to hear this is better than that disaster and think bringing Nolan on board was a great decision. I’m glad the movie spends some time focusing on his early years. In everything past Gladiator, I’ve had a hard time taking Russell Crowe seriously. I always think of that old South Park episode of him “Fighting around the world” with his tugboat. Lol. Anyway, great review! It’s been a while since I’ve seen the 06 film, so I honestly don’t remember his performance. I thought he might have done decent since he was good as a villain on Chuck, but that role may have just been better for him. I think you’ll enjoy this film! Even though it’s obviously not written/directed by Nolan, you can see his touch on it. I haven’t seen much of South Park so I don’t know the reference, but I hope you can find yourself to take Crowe a little more seriously in Man of Steel! I enjoyed it as well, though I think we differ on the plot holes in the movie. Personally, I thought it was more difficult to accept how Lois kept finding herself in certain situations. They don’t do a very good job of giving you solid reasons as to why she winds up where she does on a couple of occasions. That and I felt like they might have actually over-explained the source and reasoning behind Superman’s immense power here, making it more difficult for me to accept certain aspects of the movie. You’re absolutely right, though, it was very good for an origin story. Also, I hope this is the first of more prominent appearances in American movies by Antje Traue. I’ve been looking for her to resurface since Pandorum, and honestly kind of felt like she grabbed the spotlight away from Michael Shannon a bit. Maybe that’s what detracted from his performance for you. For me, he was great (and has been one of my favorite actors for a while). But he was brought down a bit because for all of his rage and villainy, she seemed like the more commanding presence. But yeah, coming from a guy who doesn’t care at all for Superman…I thought it was a great comic movie. Sidenote: I think my favorite part was the bit with the trucker at the diner. I had never seen Antje Traue before this film, but you’re right, she has quite a presence in it. I most certainly believe she could have stolen some of Shannon’s thunder.